There are currently large and significant disparities in mental health. The vision of Every Door Is the Right Door is to create a more integrated system that will promote all Ontarians’ mental health and well-being, and support people with mental illnesses and addictions. In order to do so, we need to ensure that the benefits of a transformed system are shared by all. If the 10 year strategy for mental illness and addictions does not explicitly identify equity as a core principle and build equity into its goals and targets, this potential will be only be realized by some. Not paying attention to equity while reforming the system may in fact widen disparities. There are many examples where equity is mentioned in the report. What is needed is a roadmap for a coherent equity strategy and action plan. reduce barriers to equitable access for services, and invest in programs that are targeted to populations at-risk and those experiencing health disparities. 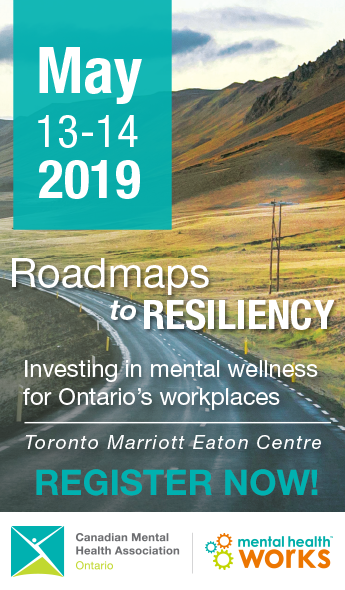 As the strategic directions so clearly emphasize, Ontario also needs to look beyond health care by focusing upstream, and developing effective and equitable strategies to promote mental health and well-being and prevent illness. This includes addressing the foundations of health inequalities: social and economic inequality, social exclusion and other determinants of health. supporting front-line community-based cross-sectoral collaborations. The Wellesley Institute and CMHA, Ontario endorse the strategic directions outlined in Every Door is the Right Door: Towards a 10-Year Mental Health and Addictions Strategy: A Discussion Paper. Ontario needs to ensure that the benefits of a transformed system are shared by all. This paper identifies how equity can most effectively be built into the strategy and put into action. Health disparities are differences in health outcomes that are avoidable, unfair and systematically related to social inequality and disadvantage. Disparities are related to the concept of equity. Although the two terms are often confused, equity is not the same as equality. The key differences between equity and equality are that equity focuses on the distribution of resources among specific populations, whereas equality looks at whether differences exist or not. Recent research has shown that social and economic inequities have far-reaching consequences on health. Not only do inequities undermine the social glue which underpin cohesive societies (i.e., trust, social capital), but they are also associated with higher levels of mental illness. Taking equity into account involves acknowledging and addressing diversity. This means ensuring that the different needs and preferences of diverse communities are always analyzed, and that inequitable access, treatment and outcomes by race, country of origin, sexual orientation or any other line of discrimination and oppression are identified, challenged and eliminated. The overall goal of a health equity strategy is to reduce or eliminate socially and institutionally structured health inequalities and differential outcomes to ensure opportunities for good health are able to be realized by all Ontarians. The impact of achieving this goal would extend far beyond enhancing individual and collective well being. It would also contribute to social cohesion, shared values of fairness and equality, economic productivity, and community resilience. The clear mental health gradient identified in the POWER study highlights the importance of tailoring services to meet the diverse needs of Ontarians, particularly for those on a low income, whose mental health is worse than those on higher incomes. People with low-income and other disadvantaged circumstances bear a disproportionate burden of poor mental health. This highlights the importance of improving access and customizing services to the specific needs and circumstance of vulnerable populations. The strategic directions acknowledge the importance of tailored and targeted services. To complement these services and to ensure that a planned mental health strategy benefits all Ontarians, whatever their social and economic circumstance, gender or ethnicity, it is vital that equity be both a core principle of the strategy, as well as a fundamental goal with clear and measurable targets and indicators. There are several instances where equity considerations could be made more explicit. We propose a ‘roadmap’ to integrate equity into the strategy in a coordinated and cohesive way. All planning, programs and services should take into account health disparities and the principle of equity, in order to achieve Ontario’s vision for promote mental health and well-being, and support people with mental illnesses and addictions. The Ministry of Health and Long-Term Care, Toronto Central LHIN and the Wellesley Institute recently piloted a health equity impact assessment tool, which analyzes the potential impact of programs or initiatives on disadvantaged populations and how program utilization and impact is affected by wider social determinant factors.3 Local health integration networks (LHINs) could require transfer payment agencies receiving funds to use health equity impact assessments to guide their planning. Equity outcome targets in mental health and well-being could include reducing disparities in self-reported mental health and major depression by gender, income, ethno-cultural background, immigration status or other social-economic variable by a certain percentage by a certain date. Data now exists through data sources such as the POWER project and the Canadian Community Health Survey to monitor progress on these indicators. Objectives, targets and indicators can be incorporated into routine performance measurement and into the dense web of financial incentives that drive day-to-day work. For example, LHINs can require all transfer payment agencies to develop health equity plans, and be accountable for achieving equity-focused objectives. One key element of effectively targeting investments and initiatives is to analyze where equity impact will be greatest, using the equity planning tools we have identified above. A broad focus on macro economic and social policy to reduce poverty, address the root cause of inequality and enhance opportunities for social mobility. More horizontal and cross-cutting ways of developing and implementing policy – often called ‘whole of government’ approaches or ‘joined-up’ government — that coordinate and drive cross-government accountabilities and build health into all policies. This model is asset-based since it emphasizes finding and supporting local strengths. Its solutions are tailored to the specific needs of each community, and it encourages community-building amongst local residents. Fostering community-based cross-sectoral collaborations. Supportive housing is one of the best examples of local partnerships between housing, health care providers and wider social services that can make an enormous difference to people’s well being. H. Graham, “Unequal Lives: Health and Socioeconomic Inequalities”. Maidenhead, 2007. R. Wilkinson and K. Pickett (2009). The Spirit Level: Why More Equal Societies Almost Always Do Better. London: Penguin. T. Christensen and P. Laegreid, “The Whole-of-Government Appproach to Public Sector Reform, Public Administration Review, November/December 2007: 1059-1066. I. Kickbusch and W. McCann, “Adelaide Revisited: From Healthy Public Policy to Health in All Policies” Health Promotion International, 23 (1); 2008: 1-4.